We design thoughtful, useable spaces. Hunter Interior Design prides itself on providing the best designers and trades to elevate your space to the next level. Catering for the Residential and Commercial sectors in both interior and exterior design, our clients can expect a comprehensive, professional and personalised approach in planning and developing design concepts for small spaces through to large scale projects. Australia wide, we've designed comfortable and liveable spaces for families of all shapes and sizes. Designing both the interior and exterior to create perfect architectural harmony. We have extensive experience designing interiors for cafes, offices and professional suites. Corporate branding packages are offered to ensure the project is completely fluid. The Merewether residence was one of our earlier projects, however was one of the most challenging. It showcases a variety of materials, textures and products. Hunter Interior Design completed the interior and exterior colour and material selection, bathroom and kitchen design, finishes and PC items, lighting, flooring as well as the furniture and styling. This home portrays the beautiful use of light and dark. The architecture resembles the style of the Australian Queenslander home with its stunning gabled roofs and timber work. The client wanted a blend of natural materials and finishes. 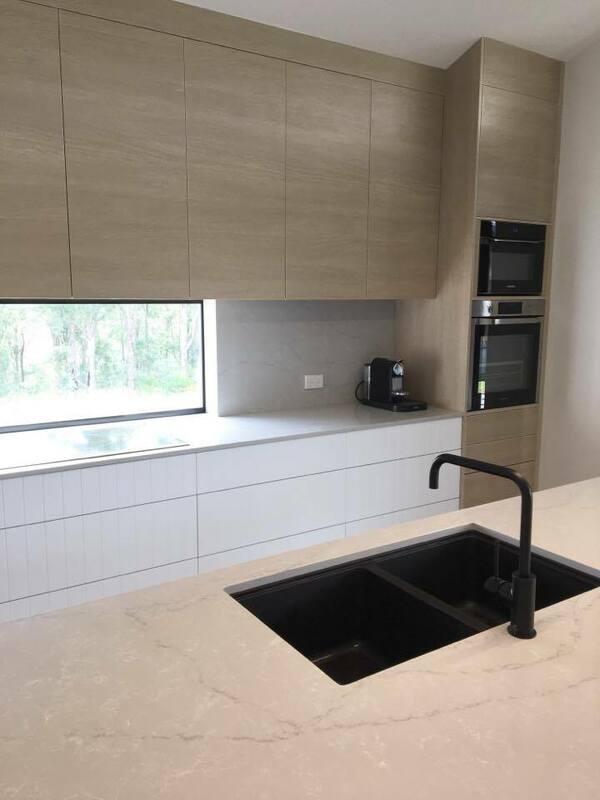 Hunter Interior Design are specialists when it comes to kitchen and bathroom design, on average completing 6-8 kitchens and 12-15 bathrooms annually. We work with a team of master joiners, trades and suppliers to ensure all of our designs are completed with perfect detail.